Norway’s projectiondesign® has upgraded their entire range of single-chip DLP® projectors including the F12, F22 and F32 series. projectiondesign’s F12, F22 and F32 series projectors can be found in some of today’s most demanding application areas. projectiondesign projectors include user selectable high performance lenses, a wide range of resolution options, and RealColor™ for colour matching and accuracy, as well as industry-leading warranty programs. 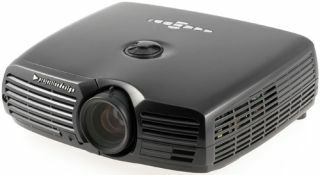 All projectors feature single-chip DLP® technology from Texas Instruments™ and projector assets can be managed by using the proprietary ProNet asset management software. Examples of collaborative working, advanced visualization and command and control monitoring can be seen by visiting the projectiondesign stand 1M27 at Integrated Systems Europe 2012 taking place between 31 January – 2 February 2012 at the Amsterdam RAI.